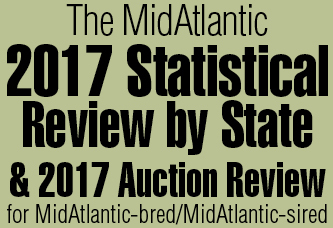 The Fasig-Tipton Midlantic December Mixed sale posted robust increases over the year before, and a weanling full-sister to graded stakes winner Perfect Moon brought the third highest-price in the sale’s 20-year history when selling for $150,000. The daughter of Malibu Moon and Perfectly represented three generations for her breeders Hugh and Achsah O’Donovan, who owned and operated Grasslands Farm in Upperco, Md., for more than 50 years. Just four days after the sale, Hugh O’Donovan died at 87. Carnivalay, one of Maryland’s most respected sires, was retired due to declining fertility. The 23-year-old son of Northern Dancer stood his entire career at Country Life Farm in Bel Air. A half-brother to champion Go for Wand out of Cyane’s daughter Obeah, Carnivalay stood his first season in 1986. 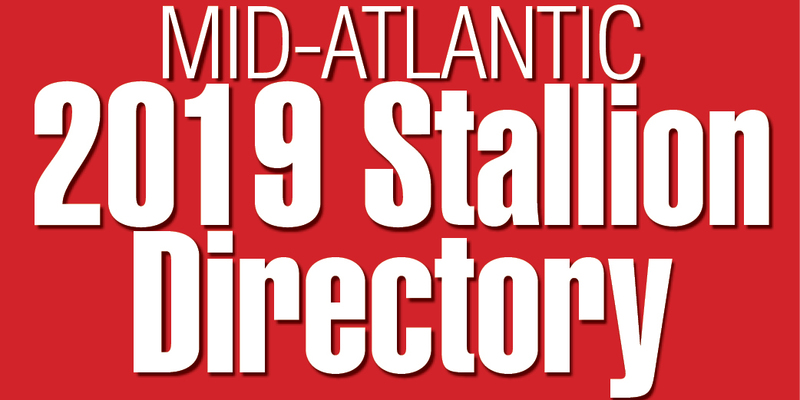 In his first crop were three graded stakes winners–Valay Maid, Groscar and Lucky Lady Lauren–and he was named Maryland stallion of the year in 1990. The stocky bay, who greatly resembled his sire, failed to get any of the 22 mares he bred in 2003 in foal. Smarty Jones remained undefeated in three starts with a 5-length score in Aqueduct’s Count Fleet Stakes the first week of January. Trainer John Servis then shipped Roy and Pat Chapman’s Pennsylvania-bred colt to Oaklawn Park for the rest of the winter with plans to follow the Arkansas route to the Triple Crown. Trainer John Alecci dropped a $25,000 claiming slip for the filly Worldly Pleasure in May 2003. The Maryland-bred daughter of Devil His Due had since won three races, including the Politely Stakes in December to finish her 3-year-old season. Bred by Robert Ingham, who lost her in the claim,Worldly Pleasure finished her career with owner Barry Ostrager and trainer Lynne Scace in Florida in February 2005. In 2007, while owned by Adena Springs, she produced her second foal, Game On Dude.